Having forced goalkeepers to send their restarts beyond the 20 metre line before the beginning of this season, the new experimental rule change – which will be trialled in next year’s Allianz Leagues – means all kick-outs must now travel beyond the 45m line. In addition, the measure will limit the number of players who can be positioned between the two ’45s for restarts to just two per team while a maximum of six players from each side will be permitted to be in the 45m lines until the ball is kicked, effectively forcing teams to configure in ‘traditional’ formations for kick-outs. It was widely speculated last year that the 20m rule change had been an attempt to undermine Dublin’s noted dominance of possession from their own kick-outs. 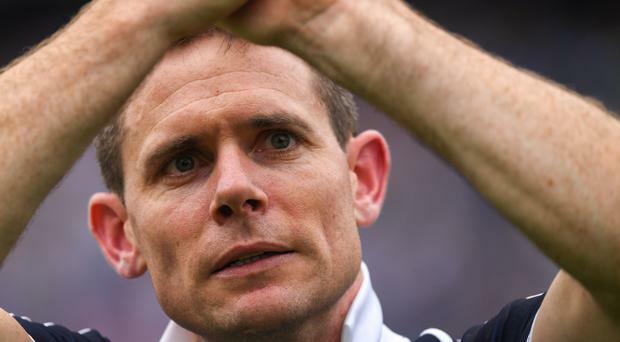 Given Stephen Cluxton’s tendency to take short, quick restarts when the option arises, the new measure will completely change the Dublin and the majority of inter-county teams attempt to retain possession from kick-outs. In this year’s All-Ireland final, Dublin won 29 of their 31 kick-outs, with a high-percentage majority of them received by a player inside their own ’45. Under the new experimental rule, such an act would result in the kick-out being cancelled and the referee throwing the ball in on the 20m line. The elaborate constraints on kick-outs is one of five proposed rule changes announced yesterday by the GAA’s Standing Committee on the Playing Rules. Pending a consultation process this month with the relevant stakeholders, the regulations will be implemented as a trial during the 2019 Allianz Football Leagues. They will not be in place for next year’s Championship although any element of the experiment deemed successful could then be voted into law at Congress in 2020 in time for that summer’s competition. Arguably the most eye-catching change is the plan to put a limit on the number of consecutive hand passes to just three although the introduction of the long-mooted ‘offensive mark’ could equally be viewed as radical. Given the accepted success of the current mark, brought in for the 2017 season to encourage high-fielding around the middle of the pitch, that new proposal was likely. In that scenario, the attacking player would then be entitled to a de facto free from the 20-metre line directly in line with where the catch was made. However, the same applies to the defender, who would also be entitled to a ‘mark’ for a clean catch in the same exclusion zone. There is also a renewed attempt from the GAA to introduce a ‘sin-bin’, a ten-minute dismissal players who commit black card offences or who receive two yellow cards will be subjected to. There will be no temporary substitution permitted for players who are issued a black card as per the current rule while a second black – or a third yellow – would result in that player subsequently receive a red card. The final, least eye-catching proposal will force teams to send all sideline kicks “in a forward direction,” unless they are awarded within the opposition’s 13 metre line.